New Windows 10 update brings convenient feature to the clipboard - clipboard history. As Microsoft says: "Not only can you can paste from the clipboard history, but you can also pin the items you find yourself using all the time. This history roams with you using the same technology that powers Timeline, which means you can access your clipboard across any PC." 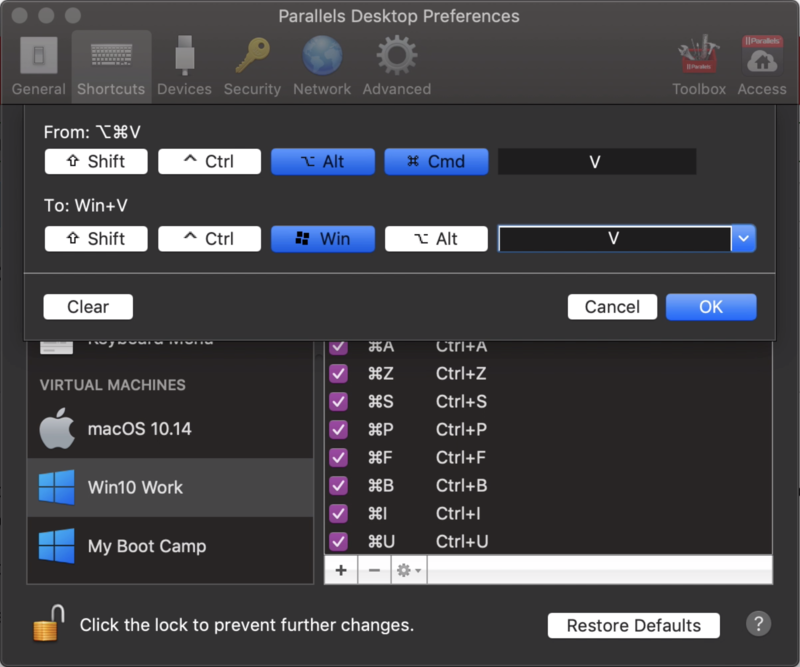 Clipboard history is invoked by pressing Win+V keyboard shortcut in Windows, but Parallels Desktop converts Win+V to Ctrl+V by default to ease copy-paste process. Now you can open clipboard history in Windows using Option+Command+V keyboard shortcut.